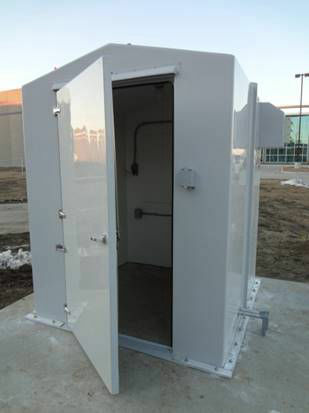 Molded, one piece insulated fiberglass equipment shelters, each 72" X 72" X 84" sidewall height with shallow peaked roof. The access door will be 40" X 80", with stainless steel hardware. All external and internal surfaces will be protected with min 10 mil thickness pigmented gel coat containing UV inhibitor. 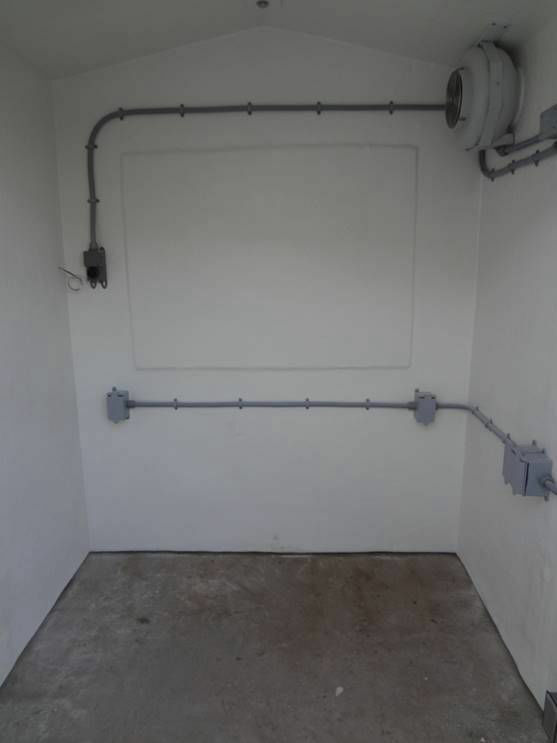 The electrical equipment package for each shelter will include an 8" vent fan with eather hood, 12" X 12" backdraft louver, (2) GFIC duplex outlets, 8 branch breaker panel rated 120/240 v, 125 amp in NEMA 3R enclosure, vapor tight incandescent lamp, exterior switches for fan and lamp and 1,500 watt space heater.